entirely useless in the current meta. put to shame by A-tier frames. she has no purpose. game designers aren't playing their own game. this is seen with the last 4 new frames. I agree, Wisp is looking pretty rough. She's going to be absolutely useless in the current meta, and doesn't seem to be "endgame" viable as you said (no perma invis, no invuln, no 90% DR mechanic). Giving your team buffs is entirely pointless because no one needs buffs! The game has no challenging content to begin with, so we're wiping entire tilesets with single casts. What's Wisp gonna do here? Relative to A-tier frames, she will be trash. yes, her 4 also makes no sense with the rest of her kit. If the meta wasn't such garbage, and if her 4 made more sense, I would say she's a cool looking frame. There's a complete disconnect here between design and how the game actually plays. It's as if the people designing these frames don't play their own game! This has become painfully apparent with the last 3-4 new frames. WF struggles with retention badly. this is going to become a bigger problem throughout 2019. DE depends on flashy fluff content to reel in new players. Pop spikes briefly when there's a new release, and dives back down to a lower level than it was originally. I'm also barely logging in these days. I feel like we'll never get challenging content. I have nothing to do with my maxed out frames and weapons. I've everything i want, so I've nothing to grind. what you're proposing about the bosses is brilliant, and makes a lot of sense to me. I think they attempted that with the Exploiter Orb and it was well received (too bad it has no meaningful rewards once you've collected the ephemera and Hidryn parts). Optional difficulty scaling coming up this year! wow so much negativity! never in my life have I seen such a snowflake community! https://youtu.be/4FXfGLkW3qk?t=1392 Thanks to the person asking this, Mogamu for the vid, and Steve & team for implementing it. Since I started playing last year, I've been begging for a way to scale up my content difficulty. Looks like we're getting it later this year. Thoughts? yeah, like Corpus are way more threatening in the higher levels than Grineer because they can turn off your 90% DR and smoke you. We need OV Corpus survivals, but that would make too many people cry. Nah man you don't need a riven on the Vandal for 1-2hr kuva survival. Bit of armor stripping, and that's it. but i'm not doing Simulacrum warrioring. the faction as a whole is stronger, with way more robotics, CC, and bubbles that vanilla Corpus. lvl 135 Grineer are a joke in comparison. they do nothing but waddle forward while shooting occasionally. and can be one-shot by a bunch of stuff without stripping armor even. like with a non-riven'd Tombfinger for example. as I said, no one right now is doing Grineer survivals so your example is kinda moot for most people, and u can't call the gun bad without riven for 99% of the game's content. that's all im saying. but I understand your topic is for very specific content and i'm getting off topic, so carry on. I'd just like to point out that most people right now aren't really fighting high level Grineer units in the first place. Have you grinded toroids in OV against lvl 135 OV Corpus? They're actually a lot tougher than any Grineer on the star chart. The OV Corpus don't even compare to vanilla Corpus. They probably have double the HP, and a bunch more robotic units. I guess what I'm trying to say is you're measuring a weapon against content that 99% of the player base doesn't do right now (the high level and the faction), using a particular riven (which most don't have access to); while calling the gun bad against most of the content that players do. I'm just emphasizing the gun without the riven is great for most content. it performs great up to lvl 150 or so. especially against Corpus, modded for gas. I don't do higher content than that, so for me the Vandal is great. but yeah, as everyone is telling you, a riven can make just about any weapon godly. Opticor rivens are really expensive atm. personally, im having more fun these days (800 hours clocked). I feel there's more content for me than there ever was before. Between Arbitrations, Nightwave, recent Exploiter fight (that I no longer need to run), recent Fractures (which I didn't mind doing), Profit-taker which is great for creds, Sorties, and the usual stuff...there's a lot to do. That being said, I will always say regarding Warframe that we need a better endgame and more challenging encounters, something to push our frames to their limits, but with better rewards. there's not denying that WF is bleeding vets pretty hard. the game needs better rewards, and better endgame encounters. with two Orbs to fight, I feel OV is pretty close to feeling good...just needs more events and higher level stuff. Riven. I feel without Riven, the Vandal is way above average even for high lvl content, when built right. Is there anything you people won't complain about ffs? His ehp is just fine. I shredded him last night with my Tigris Prime and Zaw Kripath. He down a bunch of my teammates. A pretty fun fight actually. WF needs more of this content. 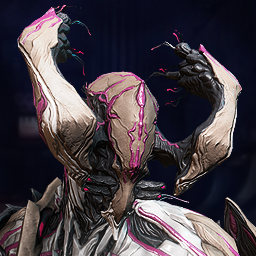 DE, can you please stop putting out new frames? excellent discussion guys. thanks for keeping this thread alive so DE can see it. I think the main takeaway point is that this constant influx of subpar (yet shiny) frames comes at the expense of not fixing up old content, which can also be made new and shiny through thoughtful reworks. the other takeaway is that there is quite a pile of old content (6-10 frames and a slew of passives), which is only growing with new release of new subpar frames, not being addressed due to the way resources are being allocated. Yet you are perpetuating it. Are you even aware of what you're writing?